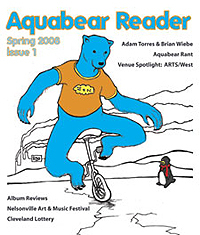 The Aquabear Reader is a free, quarterly magazine published by Aquabear Legion that covers music, art, and film in Ohio with a focus on Athens. The first issue was released at the Aquabear County Fair on Saturday, March 1st at ARTS/West and Casa and is available in various location in Athens and throughout Ohio. The first issue features an Interview with Adam Torres and filmmaker Brian Wiebe about the video for “Breakneck Jane”, a venue spotlight on ARTS/West, a short story from Bram Riddlebarger, columns, comics from Jed Collins, CD Reviews, and more. 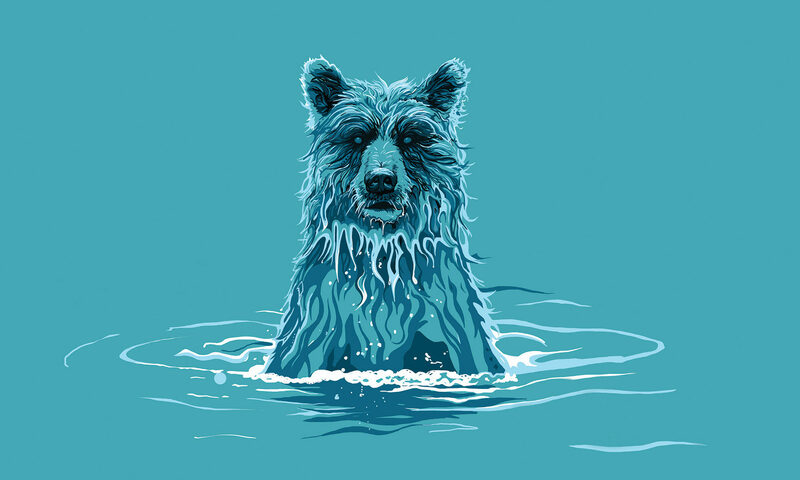 The Aquabear Reader is a free publication, we pay for printing with advertising for area businesses (preferably relevant to our topic of music and art). We are taking advertisements for the next issue. For more information please send us an e-mail at contact@aquabearlegion.com. Also, if you have a business located in Athens and would like let us leave copies of the Reader there we would gladly appreciate it and list your business. If you are interested in submitting something, let us know. If you need an idea or topic to get started, we have some of those as well.